Leza Lowitz is an award-winning writer, editor and yoga instructor based in Tokyo. Her work has appeared in the New York Times, the Huffington Post, Shambhala Sun and Best Buddhist Writing of 2011. She has published almost 20 books, including the bestselling Yoga Poems: Lines to Unfold By and the award-winning YA novel Jet Black and the Ninja Wind, written with her husband, Shogo Oketani (www.j-boysbook.com). 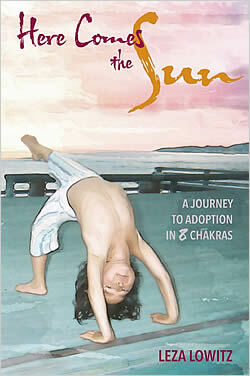 Leza’s memoir, Here Comes the Sun: A Journey to Adoption in 8 Chakras, was published by Stone Bridge Press in June 2015. Up from the Sea, her YA novel in verse, was published by Crown Books for Young Readers in January 2016.